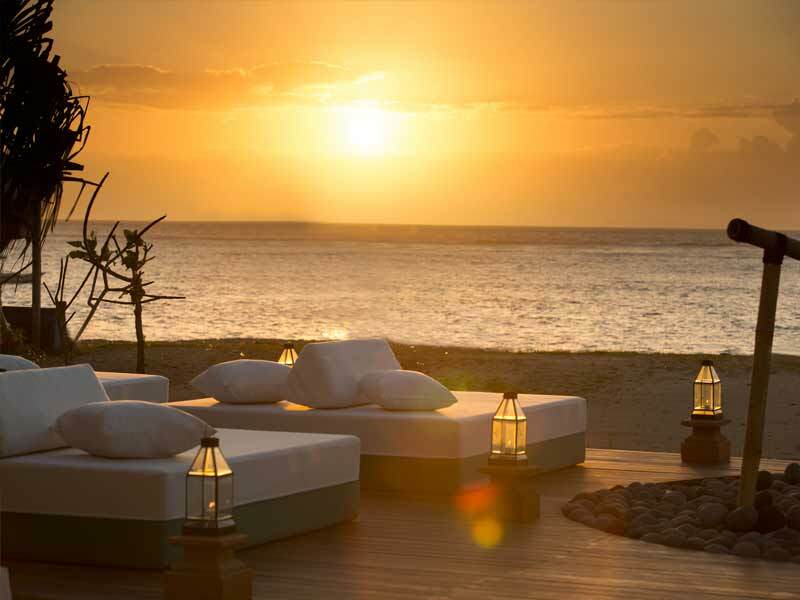 Enjoy an enchanting escape at the Sadara Boutique Beach Resort. 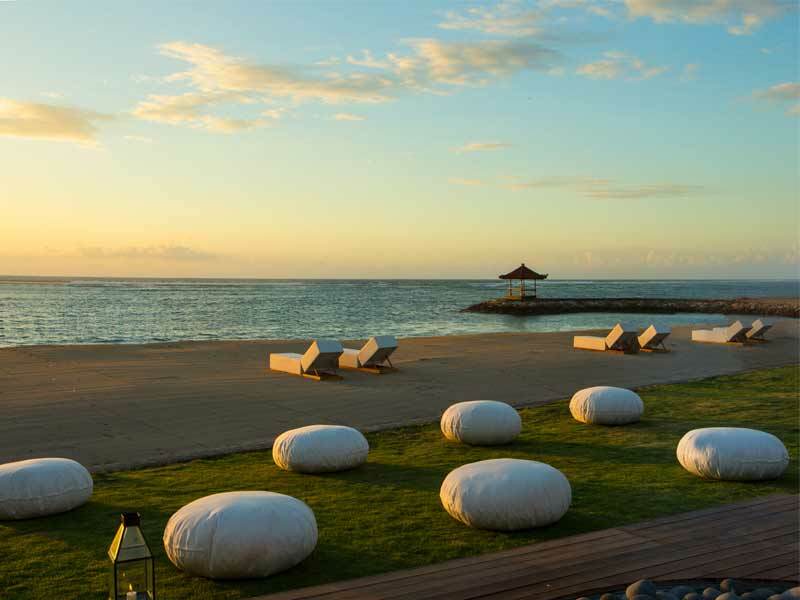 This stylish property sits right on the beachfront at Nusa Dua, providing exquisite ocean views and access to beautiful white sand. 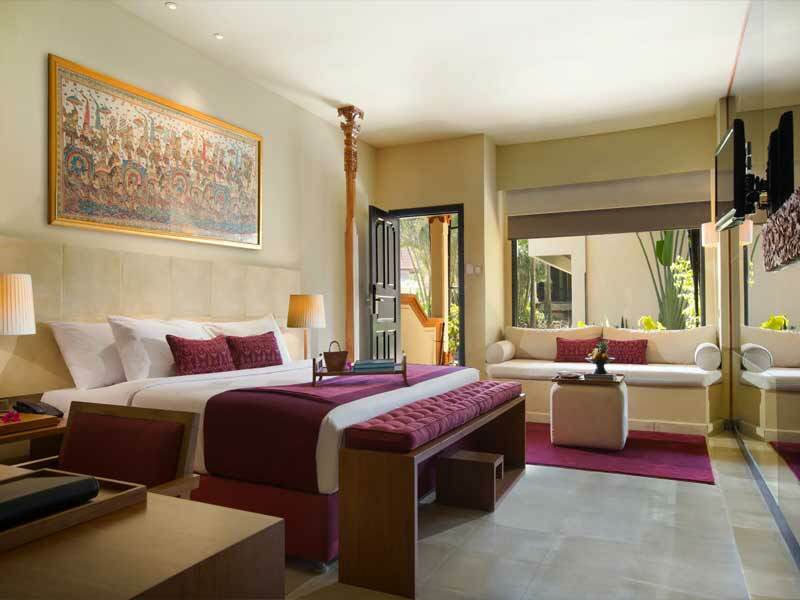 Embrace the serenity of your surroundings as you relax in one of 80 rooms and suites—all featuring a tasteful blend of Balinese flare and modern design. 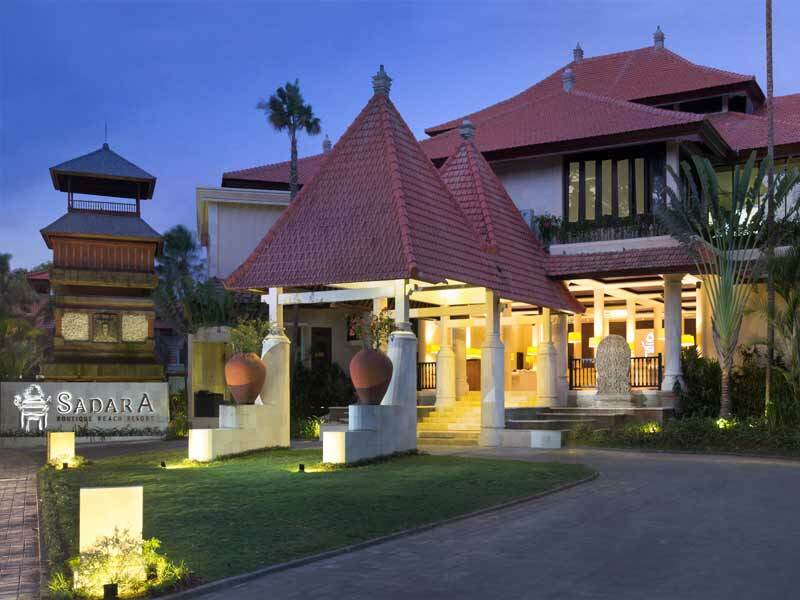 The Sadara Boutique Beach Resort proudly maintains Bali’s heritage. 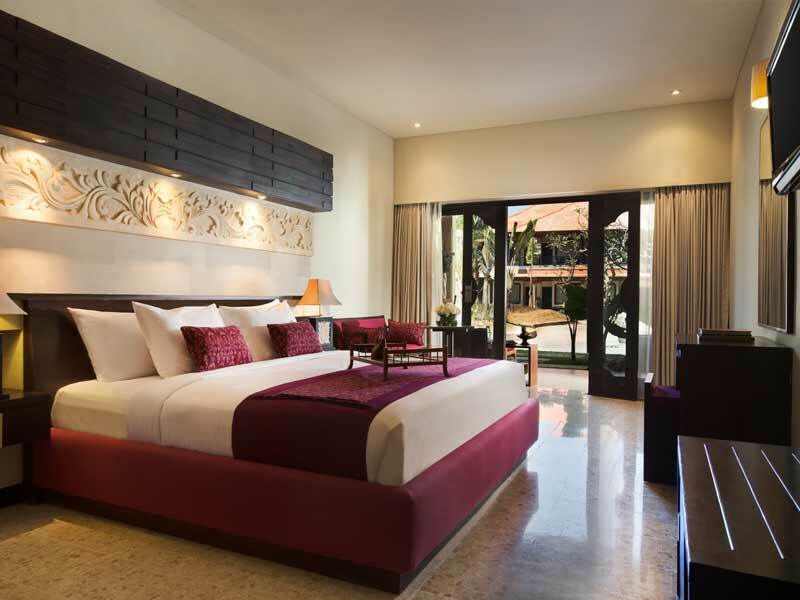 Each design element has been expertly crafted and works to quickly whisk travellers away to an exotic paradise! Swim, dine and indulge during your stay. 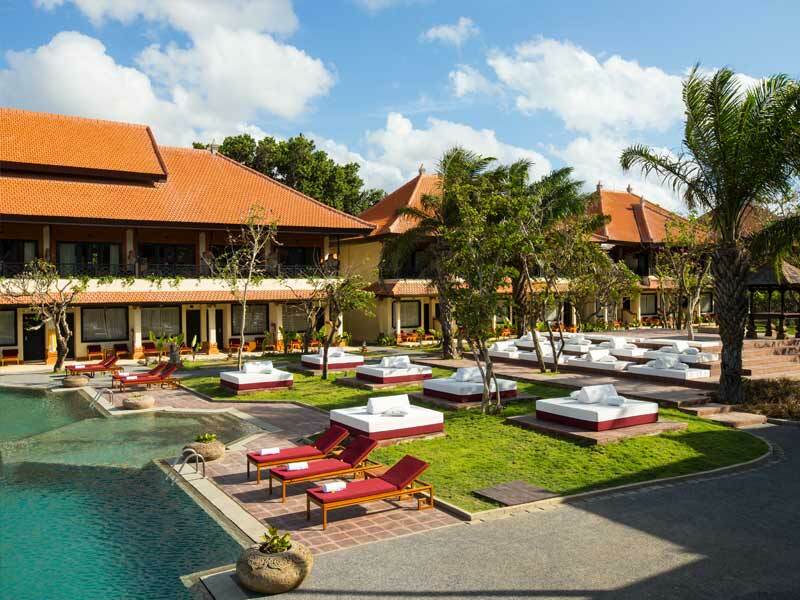 The Sadara Boutique Beach Resort boasts an elegant outdoor pool, pool bar overlooking the beach as well as a children’s pool and its own stretch of private sand and sea at the Tanjung Benoa Beach! There are 3 dining venues to choose from. 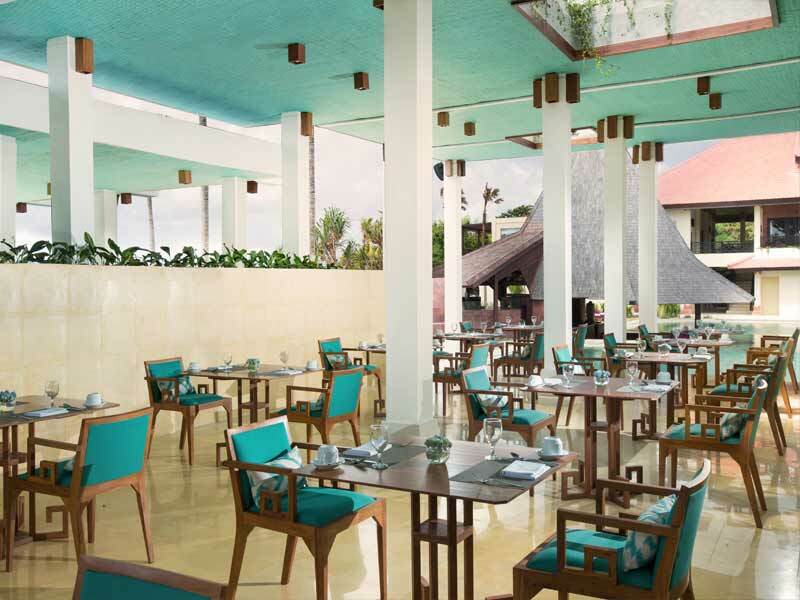 These range from relaxed all-day dining, to indulgent gourmet and quick meals and snacks at the Wave Beach Club. Themed dinner nights are a regular occurrence and include wine pairing, degustation menus, traditional market nights and more, plus guests can enjoy romantic private dinners and cooking classes! Why go to the Sadara Boutique Beach Resort? 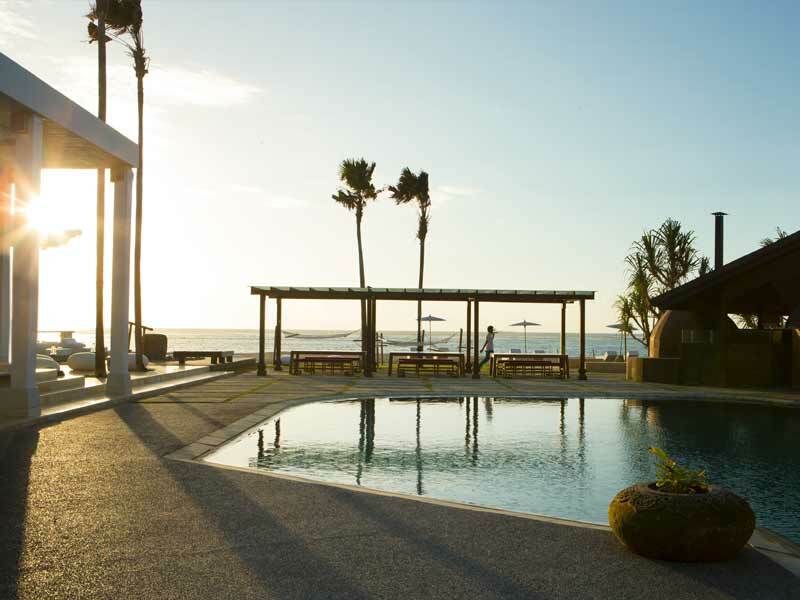 The Sadara Boutique Beach Resort is the perfect place for those looking for a rejuvenating retreat. 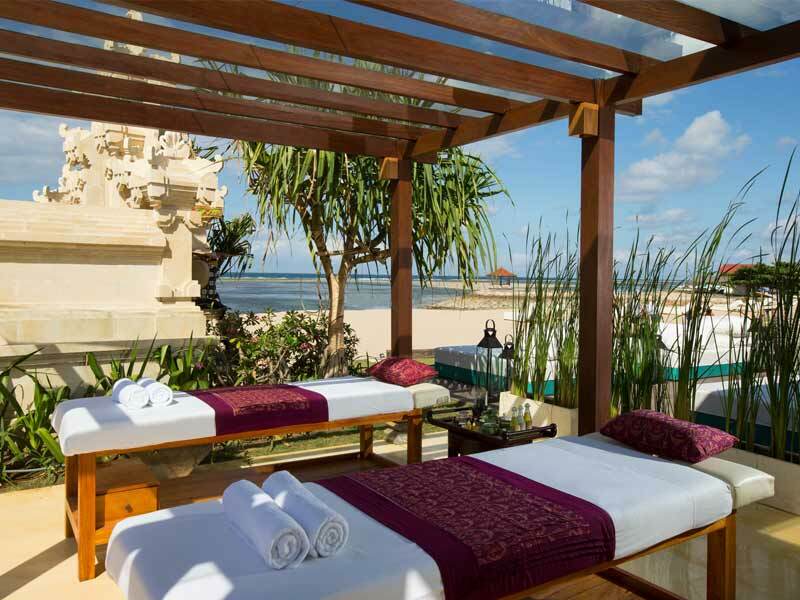 Treat yourself to uplifting spa services at the Sunaina Spa, take free yoga classes on the beach or in the garden, sign up to the holistic Beach Retreat program complete with meditation and detoxification or get inspired by the spirit of Balinese Culture with the resort’s Cultural Journey programs. There is a shop onsite selling jewellery, designer apparel, Balinese handicrafts and more, plus the lobby contains free Wi-Fi for and computer stations for those looking to connect to home. Weddings and events can be accommodated at the resort’s stunning facilities too, plus there is plenty to see and do in the surrounding town! 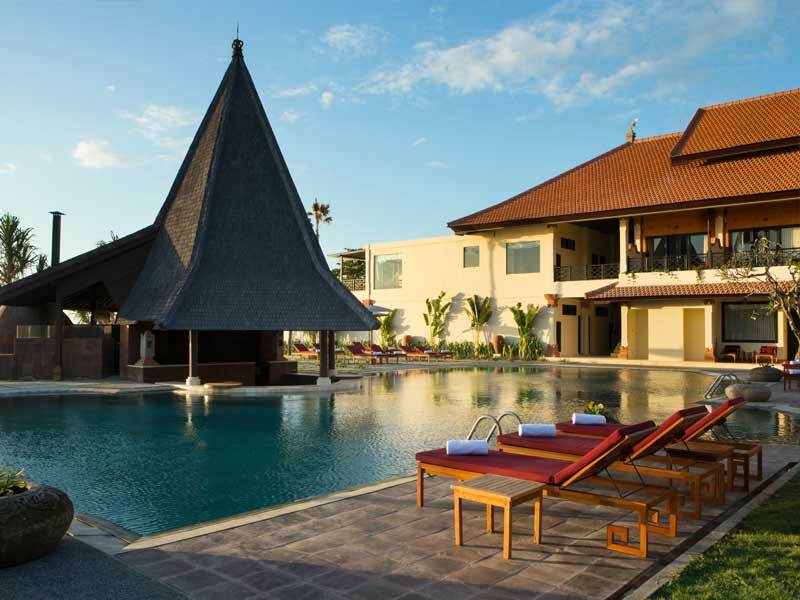 If this sounds like your perfect holiday to Bali, give us a call now on 1300 799 745! Sadara Classic rooms boast 42sq. 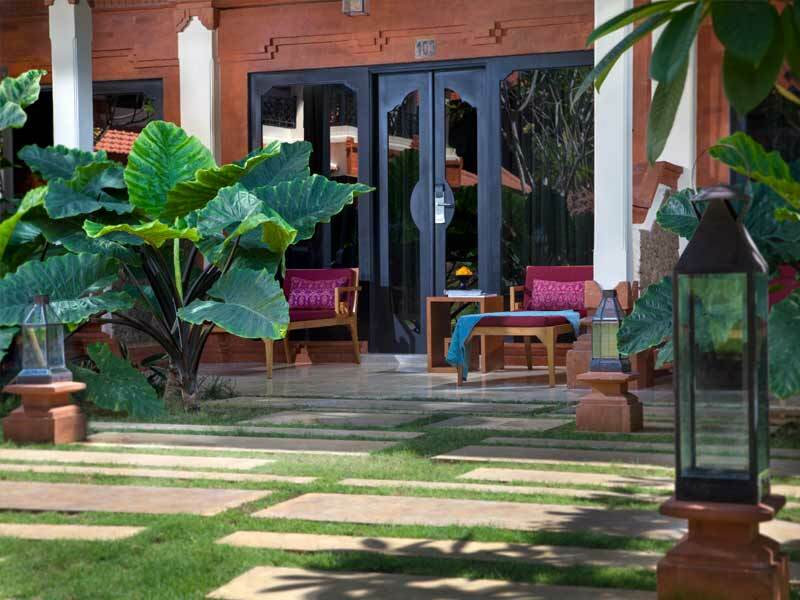 metres and a range of classic Balinese design features. The atmosphere within each room is both elegant and tropical. Enjoy air-conditioning, a 32” flat-screen TV with 50 international channels, free Wi-Fi, and modern amenities including a well-stocked minibar and deluxe toiletries. 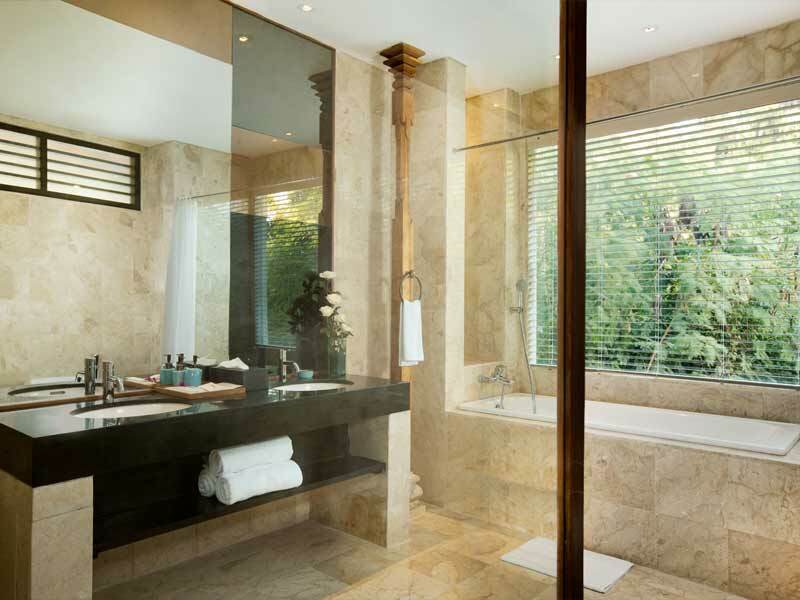 Prepare for each day in your private bathroom, take in fresh breezes from your private balcony or terrace and enjoy the greenery from the lush surrounding gardens. These rooms can accommodate 2 guests in an oversized plush bed and tasteful artworks will provide an overwhelming sense of “place”. 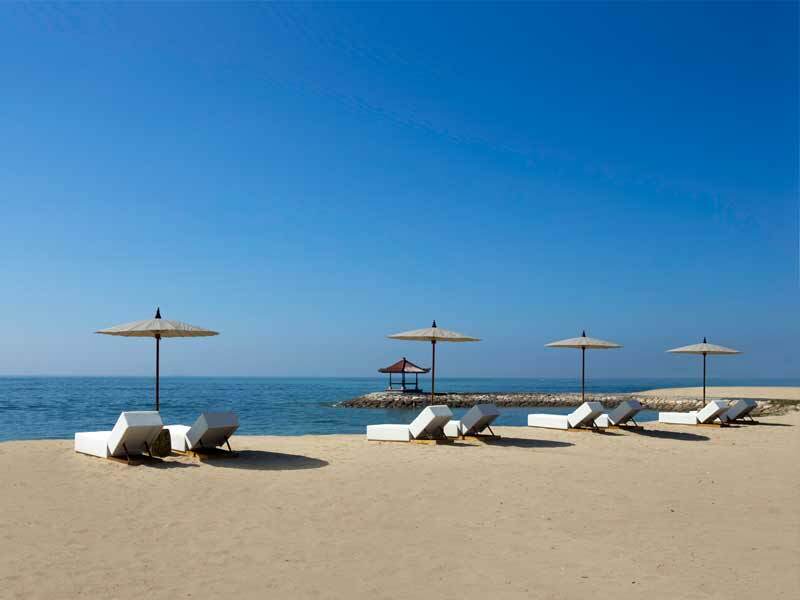 The Sadara Boutique Beach Resort is nestled on the beach in Bali’s Nusa Dua. 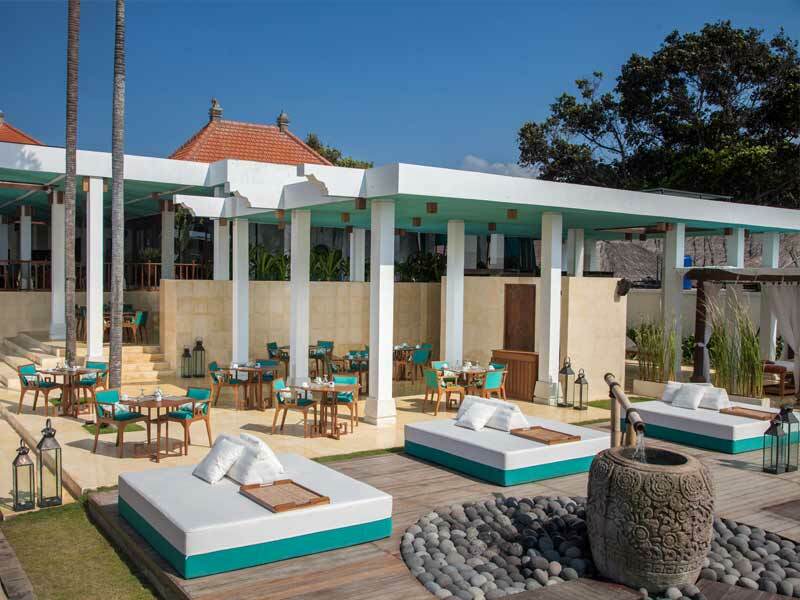 The beach in front of the resort is Tanjung Benoa Beach’s southern end and Nusa Dua Beach is just over 4-kilometres away. Turtle Island is just over 1-kilometre away and Geger Beach and Mengiat Beach are both within 5-kilometres. It takes approximately 30-minutes to get there from Ngurah Rai International Airport and the journey can be taken by car or shuttle. There are plenty of activities to enjoy at Sadara Boutique Beach Resort—each designed to tantalise the senses! Indulge in a range of rejuvenating spa services, dine on-site or at surrounding restaurants, take a cooking class or do some yoga by the sea. Sadara Boutique Beach Resort is surrounded by beaches, has an elegant outdoor pool and a range of plush sun lounges. 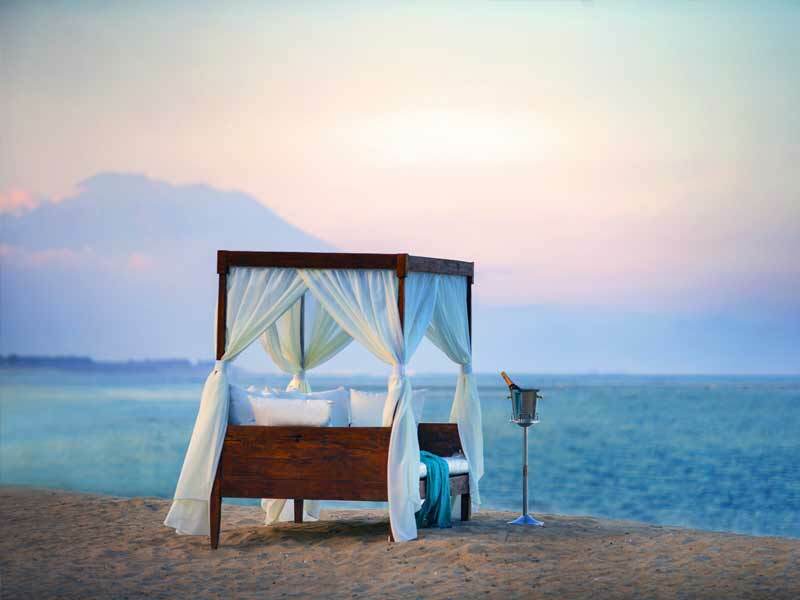 Also on offer are a range of unique packages, including a Balinese cultural activity package, romantic dinner exclusives and a Royal Afternoon Tea especially for 2! Beautiful resort on the beach. 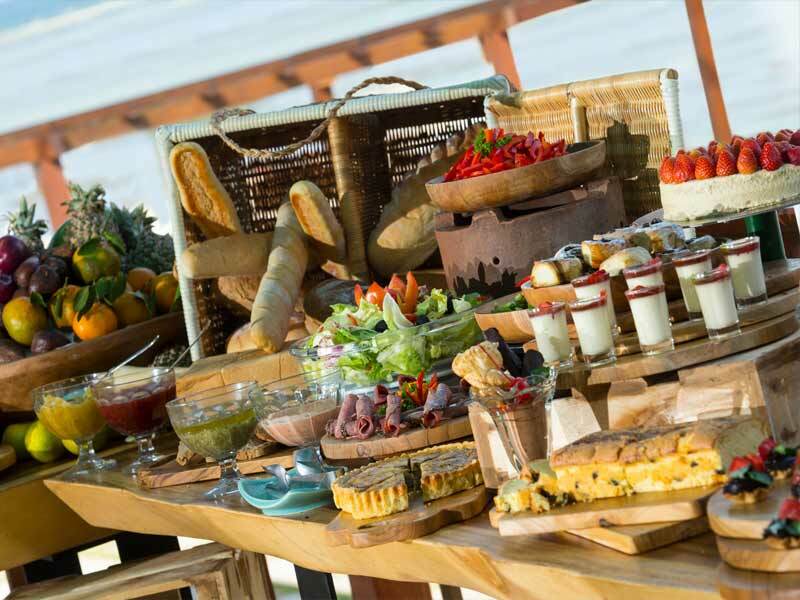 Huge breakfast selection and great service at the pool bar. The Spa was amazing and left us feeling relaxed. Great resort for couples—will definitely return.